Designing and decorating a child-friendly space has never been more exciting than right now. There are gorgeous new colour palettes to consider and so many beautiful, original statement pieces to accessorise with. Allow us to introduce you to a new designer and brand that has the perfect hero piece for your little girl’s room. Liselle Powell is an artist, illustrator and graphic designer who has turned maternity leave into an opportunity to follow her dream and passion once and for all. Just Add White is her brand and Le Bunny Cushion is her first step into functional design inspired decor. With a focus on quality, simplicity and where possible, sustainable materials, the Le Bunny cushion has been designed, hand crafted and printed in Australia on 100 per cent organic cotton fabric. It is perfect as a focal point for the bed or armchair and is great for mixing and matching. 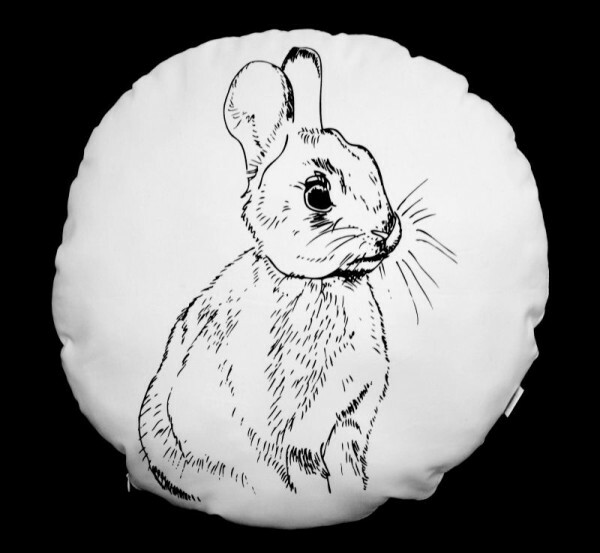 The original, monochrome bunny design is available as a round or square cushion with a diameter of 43cm. Both options cost $60 (excluding GST) but note that the cushion insert is not included. 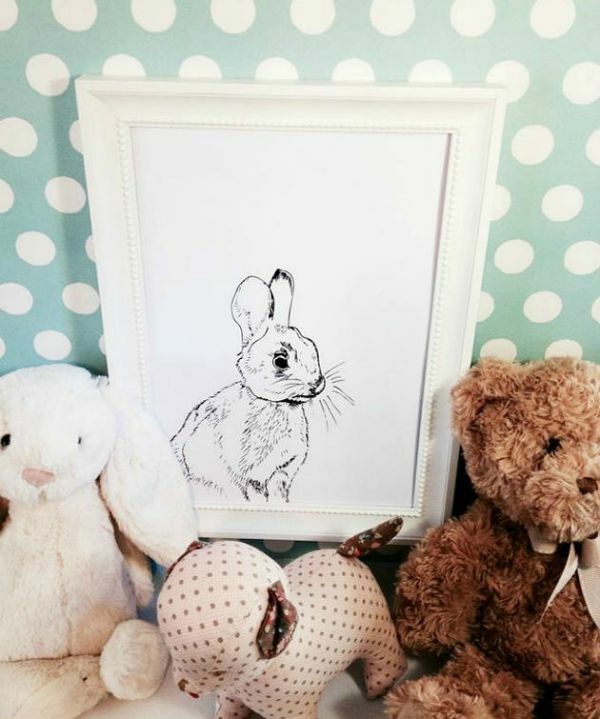 The wall print version of Liselle’s Le Bunny illustration is just lovely and comes in three sizes (A4, A3 and poster) and ranges in price from $27 to $120 (excluding GST). Buy the Le Bunny cushion or wall art exclusively at the Just Add White online shop.